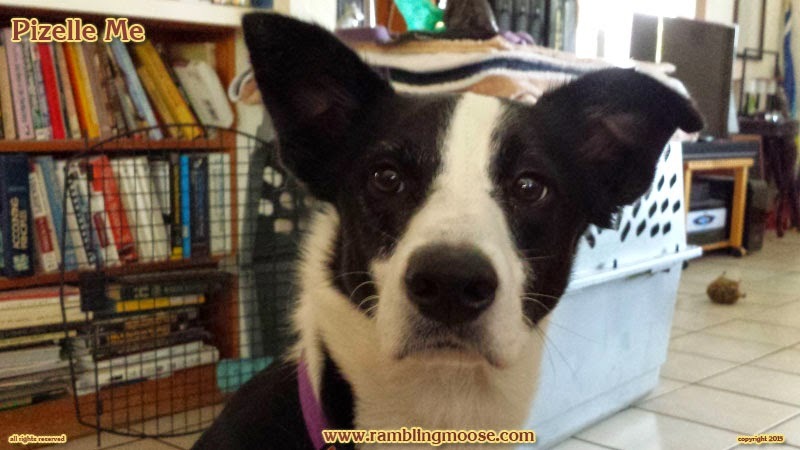 Rambling Moose: Got a Dog? You Are Being Watched. Got a Herding Dog? Better Respect The Process. Got a Dog? You Are Being Watched. 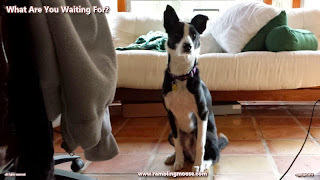 Got a Herding Dog? Better Respect The Process. The story went that there was a woman who has a dog. A great dog, a Rescue Dog, friendly, they bonded deeply, and they integrated each other deeply into each other's lives. So what she described is what you normally call a Shadow Dog. They follow you every where. himself strategically so that he can see where I am and what I am doing, no matter who else is in the house. Get the picture? Good, here's where it gets intriguing. This lady noticed a difference in her dog's moods. The dog became less bouncy. Less energetic. More reserved. Of course, dogs have moods just like you or I, and the longer I have my own boy here, the more often I realize that he does things for a reason. That "reason" is what was causing the mood swings. She was getting ready to take the dog into the vet to see if there was anything at all wrong with the dog when she noticed something odd. 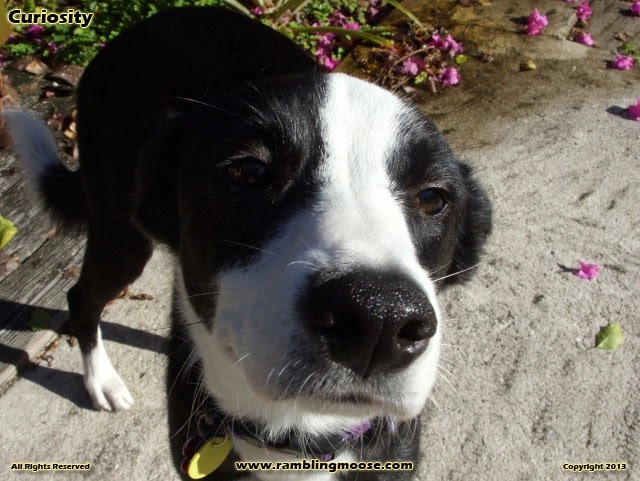 We're all used to having our dogs sniff around. Mine took an interest in a bit of road rash I have on my left arm that took a little too long to heal. He sniffed that spot every time he came over for a visit during a perimeter search in the house. So I paid more attention to it, washed it out more often and more thoroughly than usual. When it healed, he lost interest. Here is the parallel. 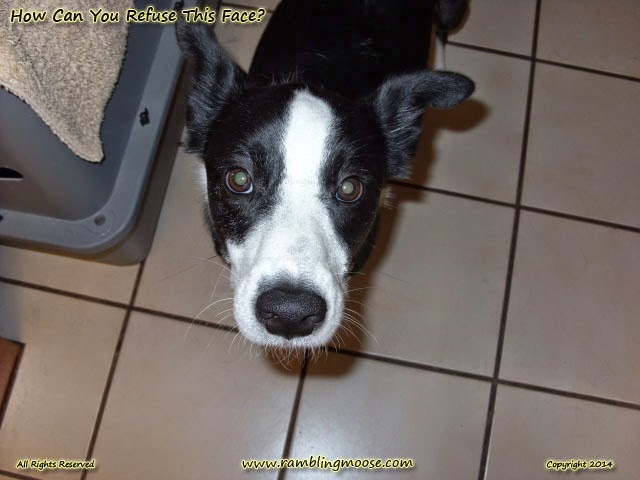 The lady's dog sniffed her chest more than normal, and realized that the dog was sniffing one specific breast. Since she was in the UK she was able to get the care she needed, and found out that there was breast cancer developing in that breast. The dog saved her life, and this is one of many cases where that story works out for the best. Really, I have said it before many times and I shall say it again "Trust In Dog". I have a routine. It's very fixed in the way things are done. I suppose I live an ordered and orderly life, although if you saw my kitchen you would disagree. Things happen the same way daily because I have figured out that best process and the best order. You would expect that of someone like me, a Project Manager. We do that, we plan, we watch processes for the best outcome and tweak them and tune them like a fine piece of machinery. However, my own ordered life is noticed by Rack down to the last detail. He knows not to ask for an ice cube after the first one is given in the morning. We walk, come home, I feed him and then he goes to his bed tucked away in a corner. I then putter in the kitchen making up a mug of French Press coffee and drop five, not four or six, ice cubes in the press to bring it to a perfect temperature. Rack knows that when I go into the freezer to come but only when called. He gets his prize, I get my coffee, and since it is usually well before sunrise, I settle in to sip coffee and work on learning Spanish, getting caught up, and getting started. At 7:30AM every day, whether it is raining or not, the irrigation system comes on. It is on a timer and must run to water the orchids and fruit trees in pots. Regardless of weather since some of these pots require a specific watering schedule, I have to go outside. By this time, He's either needing to visit the large palm tree out back or wants to just get out for a break and a romp. I'm not completely sure which, or both. When I am ready, I put my keyboard away, and immediately I hear Rack doing his "Downward Dog" yoga stretch, and then a furious trot behind me to the back door. "Ok Rack, I am coming." Rinsing out that French Press mug, I get to the door. Rack invites himself outside, first. I dump the grounds in the garden and go about my Yard Inspection. Even during Irma's aftermath, I maintained that schedule, although since the power was out or running on a generator, I used that time to scoop debris out of the pool or just do gardening. But Rack was there. Watching over what I was doing and insisting on being there. When he has had enough of marking the perimeter outside, He comes back and tries to nudge me back indoors. It's that process thing. One step after another, respect the process. In order. Now if he starts sniffing any specific part of your body, pay attention. What kind of Tick is explosive? A dyna-mite.